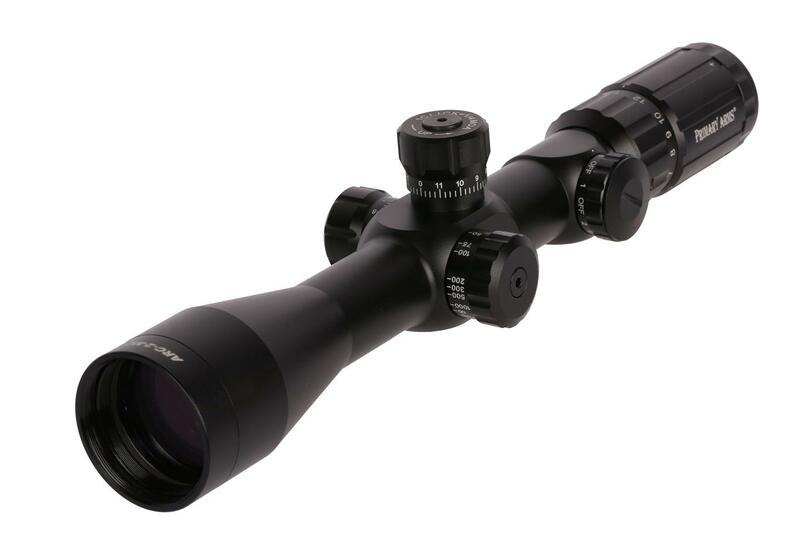 The Primary Arms 4-14x44 Front Focal Plane rifle scope features an optimized MOA reticle that stays true through the scope’s entire magnification range of 4x through 14x. 0.25 MOA click adjustments match the reticle to make sighting in and adjusting for range easy. 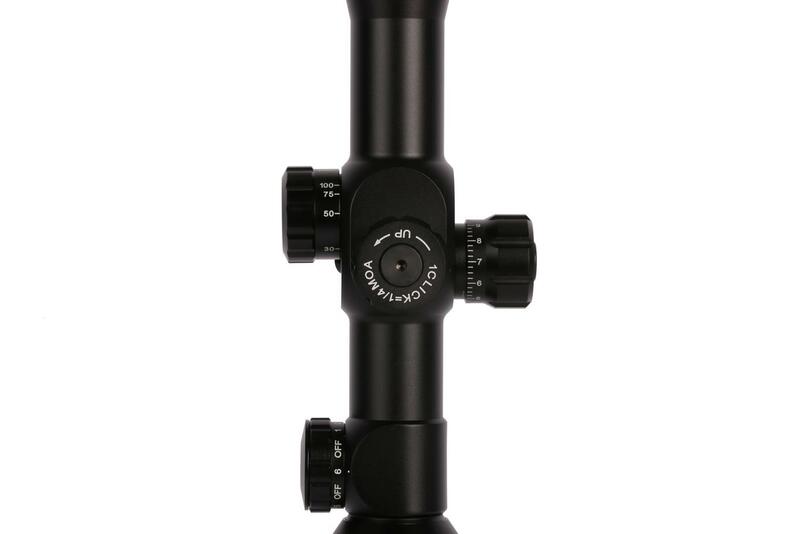 A side-mounted parallax adjustment knob keeps the reticle parallax free and the target image sharp. 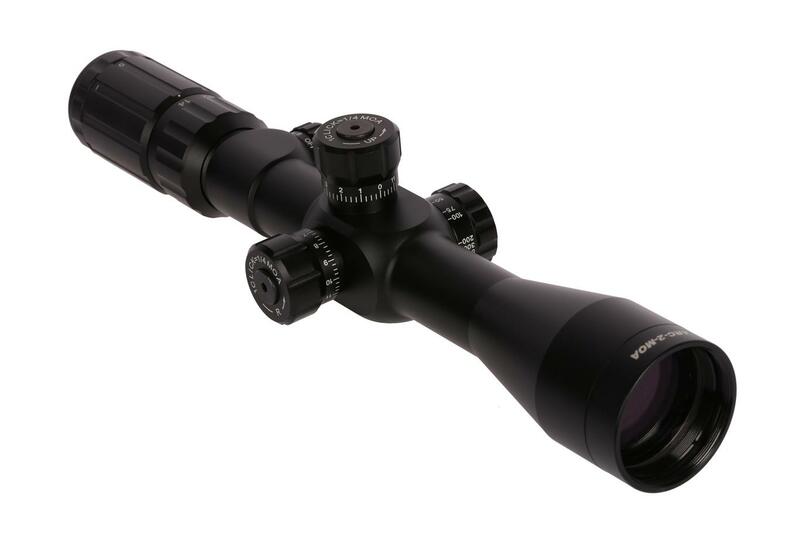 This tough scope is shock proof, waterproof, and fog resistant, and comes with a 3-year warranty. Red reticle illumination through six brightness settings is powered by an included CR2032 battery. Optional sun shade PA4-14SS is sold separately. A “cat tail” scope lever is also available from 3 Gun Stuff (product code GS-440). I love this scope. Very clear and smooth. I’ve had it out to 300yd tracking with the turrets and it repeats every shot going from 100, 200 and 300 yards. The only reason for the four star is because of the turret lines don’t line up with the line on the the scope. The turret lines sits off to the right of the line on the scope. Scope still works fine just bugs my ocd a little bit. 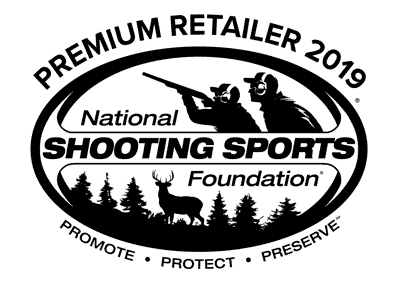 I sold firearms and optics for a big box firearms retailer for about three years. Of the optics that I sold there my default best for your money was the Vortex Diamondback or better line of scopes. 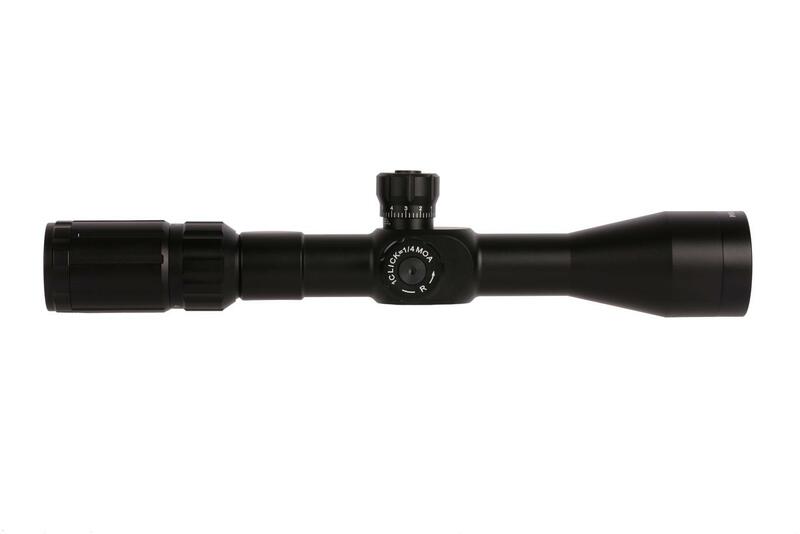 This scope IMO rivals the Vortex Viper HST and the new Diamondback FFP 4X16 with the EBR2 reticle for clarity and features. Dollar for Dollar I'll take the PA FFP 4X14X44 scope all day every day over the Vortex scopes. Started with a lower grade PA scope, it was accurate but did not hold up. The folks at PA stood behind their product and made things right. <br>Decided to go with the ARC-2; mounted it on 20MOA rail, looks good, glass is very clear. Tested and confirmed reticle graduations to be accurate.<br>After dialing in shot two three shot groups below half inch deviation. Will know after a few weeks if it is going to hold up. <br>Must admit I do business with PA because of their excellent customer service. For the money, the scope is amazing. 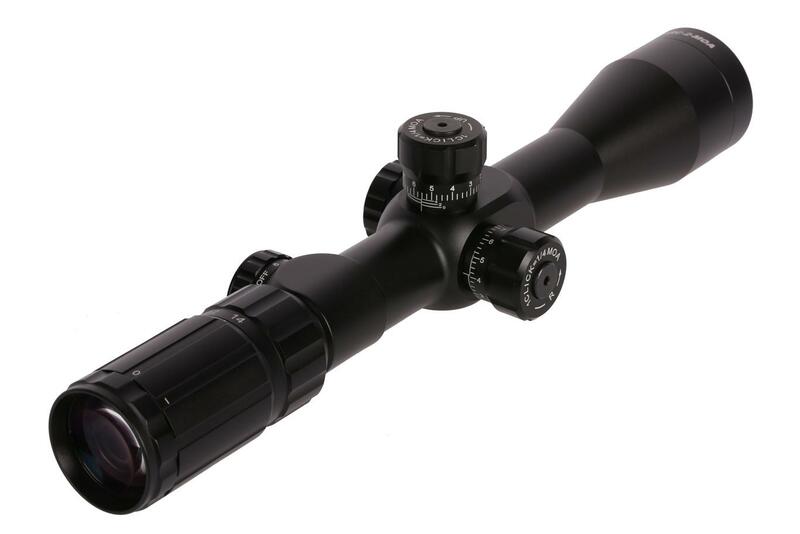 Glass is clear, turrets track and return true, the reticle is sharp and clean, and FFP in a scope at in this price range is unheard of. <br>I did have a small manufacturing issue on mine which was more of a picky detail. The scope arrived Wednesday evening, and I had a match that I was hoping to use this for on Saturday. Later that night, I sent an email to customer service explaining the issue. Before 8:30 the next morning, I received an email back saying that an RMA and shipping label were on their way, and that a replacement was being overnighted so that I would have it for my match. It arrived Friday afternoon, and worked perfectly in the match. Thank you! Gave five stars as of now. 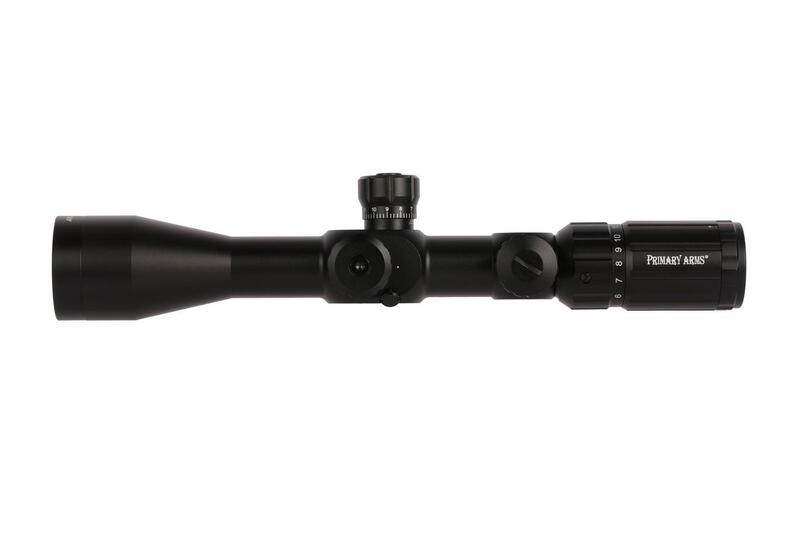 AFTER ordering,(because I always do things out of order), I emailed PA to ask if this scope would handle recoil from 300 WinMag, they said it wasn't rated for magnum rounds but many customers had good results with that combination. We will see, since that is it's intended purpose. <br>Glass is clear once you find the "eye box". Illumination is good reticle is great. Seems like well made scope. Turret reset option. <br>Once I properly adjusted focus(diopter) zoomed in down the road and parrallax worked great. I have to say the glass is not as good as my Nikon scopes, but the price is right. <br>So far very pleased. Haven't tried to track the reticle such as box test. Will update if any problems. <br>Overall great deal. Shipping was fast. Ordered Tuesday, received Friday. First off, shipping was outstanding!!!! I placed my order Wed and scope arrived Sat. I was expecting at least a week on the free option. Thanks for taking care of your customers PA!!! <br>Will update in a couple weeks after 100 rounds of 300 win mag. Primary Arms does it again!!!!! Incredible! I love this scope. It is everything I want and need in a FFP optic with a $300 price tag. I wish it would've come with zero stops but with a google search I found a solution and the work great! Go to Non Ferrous Fasteners Inc and search NF9320, you will have your zero stops in about 3 days. I have ordered another one of these for my new AR10 build. I recommend these to anybody I speak with looking for a higher power optic. Now, PA needs to make a ftp 1-6 with this reticle in a lower budget optic. Wow! 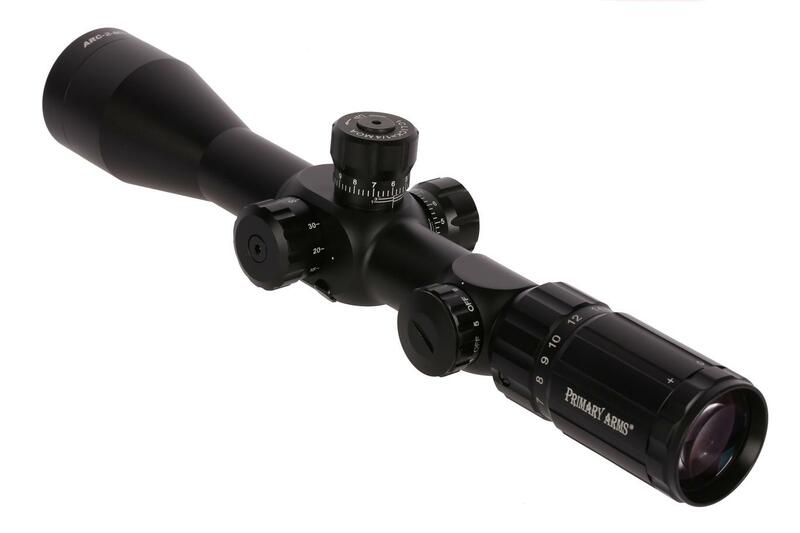 A first focal plane scope for less than $300 with glass quality of a $800-1000 FFP scope. Reticle is clean and easy to use. I was all set to purchase an Athlon scope for 2.5-3 times what this one cast and I'm glad I purchased this scope and spent the savings on ammo. Glass quality is great. Mounted on a 224 Valkyrie build and have only had the gun and scope out to 200 yards and plan on taking it much further and also doing some tracking tests during a PR class in a few weeks. It was on paper at 100 yards right out the box and zeroed quickly. The only "wish it had's" are a true locking zero stop and the reticle illumination and parallax adjustment controls on the same knob. The only ding I can give it is the markings on the adjustment knobs do not perfectly line up with the reference markings on the turrets; they are about half a click off. Overall, for the low cost, this a damn nice scope that looks to be extremely capable of hitting targets out to 1,000+ yards.